Doctor Strange's Mads Mikkelsen Sees His Villainous Character As A "Hero"
In a few short weeks, Doctor Strange will bewitch audiences when it spells it way into theaters. 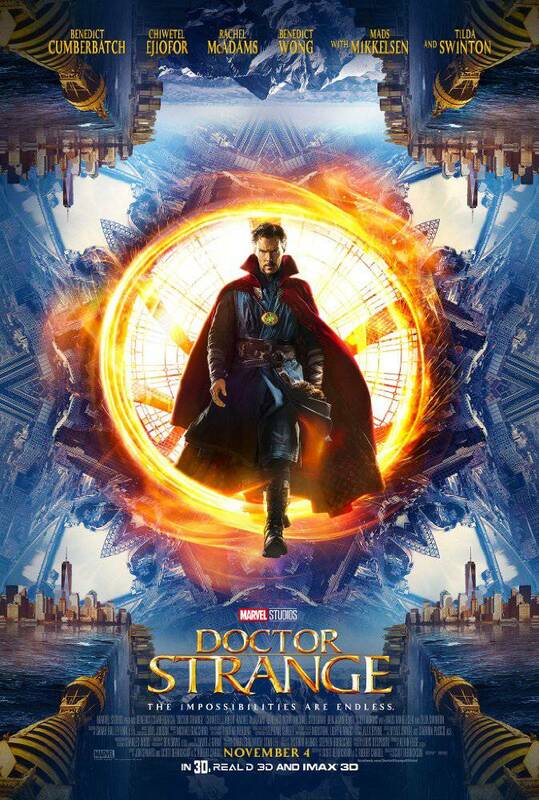 The anticipated Marvel flick will see Stephen Strange (Benedict Cumberbatch) train in the mystical arts, but his journey won’t be without snares. A villain named Kaecilius will clash with Doctor Strange and threaten the physical world while doing so. However, at a recent press conference, actor Mads Mikkelsen said he thought of his role as that of a hero. Mikkelsen said his approach to Kaecilius was one that he talked through with director Scott Derrickson. The actor explained that he and the director “tried to make [Kaecilius] a man who knows what he’s talking about.” He even likened the villain to a demigod (a la Loki) or even the whacked-out creator of Jonestown who famously persuaded the followers of his cult to commit mass suicide. Ultimately, the actor said his character was someone who believes absolutely in what he says, making him a dangerous radical blinded by the so-called righteousness of his call. Of course, Kaecilius doesn’t differ from Marvel’s other villains in that regard. The baddie spurs on his ideas because the world needs saving or redemption. Just look back to Loki in The Avengers; You’ll see how his actions were prompted by seemingly altruistic motives. The angry trickster wanted to rule Earth because he believed humans were incapable of peacefully existing with one another. In Doctor Strange, Kaecilius sees his mission as a fated one. He turns against the wishes of the Ancient One and tries to bring in dark, otherworldly forces into the real world. In his mind, the supernatural beings will help the Earth rather than harm it. The villain’s motives definitely align Kaecilius with a familiar Doctor Strange character from the comics, Karl Mordo. However, Feige and Marvel Studios has stressed that Mikkelsen’s character is not one sourced directly from source material and is instead a mash-up of mysterious characters. Either way, it definitely sounds like Kaecilius has one dangerous ideology floating around in that brain of his. Doctor Strange will hit theaters on November 4, 2016.